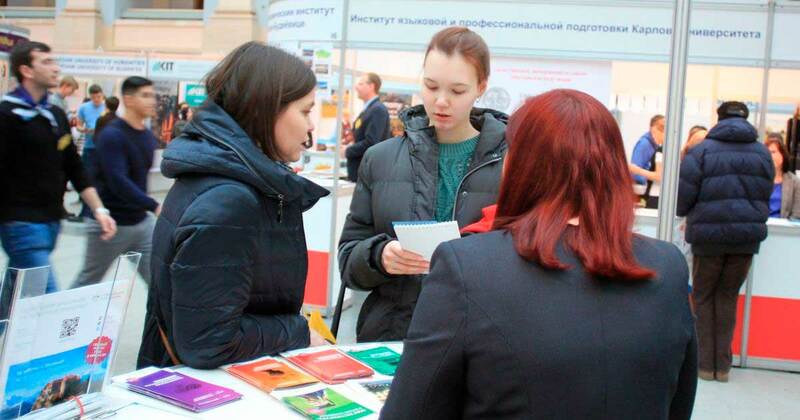 Representatives of the 2TM company participated in the Education and Career Fair, which took place in Moscow on 24–25 November. 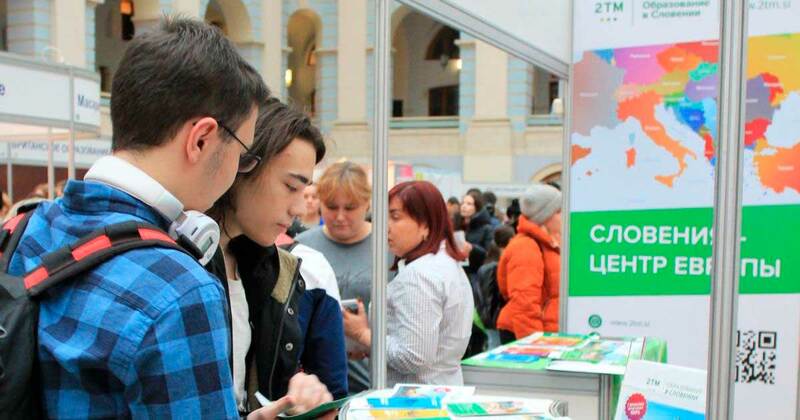 The Education and Career Fair is one of the largest educational and career guidance events. It is held annually in Moscow and Saint Petersburg on an international scale with the support of relevant Russian ministries and departments. 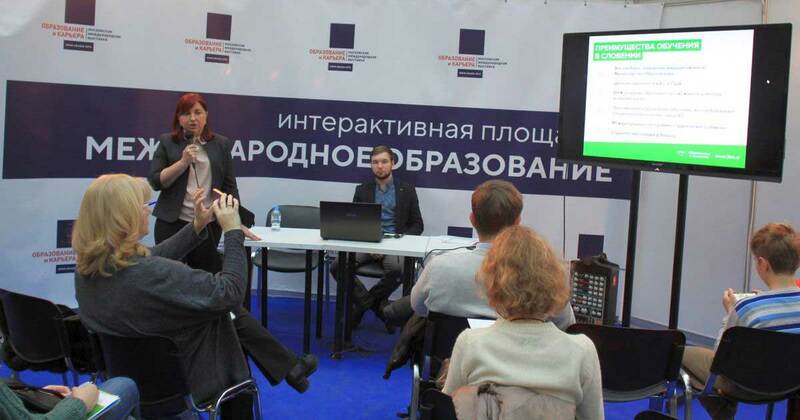 Leading Russian and foreign educational institutions are traditionally represented at the event venues. 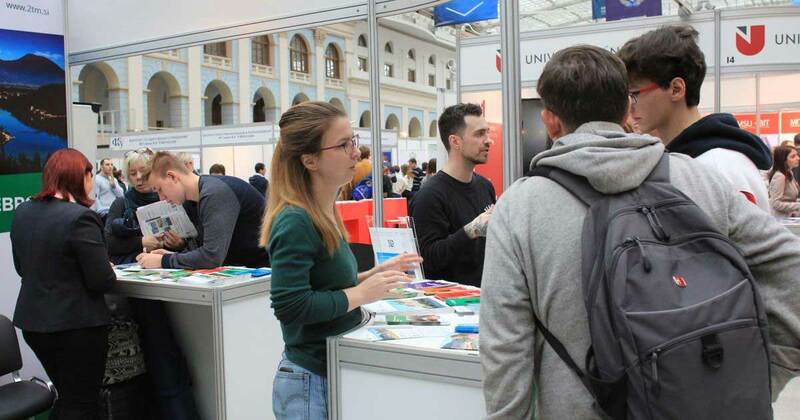 According to Irina Shipilova, the Deputy Head of the Fair, over 200 universities have been represented at the fair this year. The participants of the Education and Career Fair also included employing companies as well as experienced psychologists who are ready to assist future applicants in their professional self-determination. According to the organisers, about 20 thousand people visited the fair. “The fair was held on weekends, so everyone interested could attend the event, and not only the Muscovites. 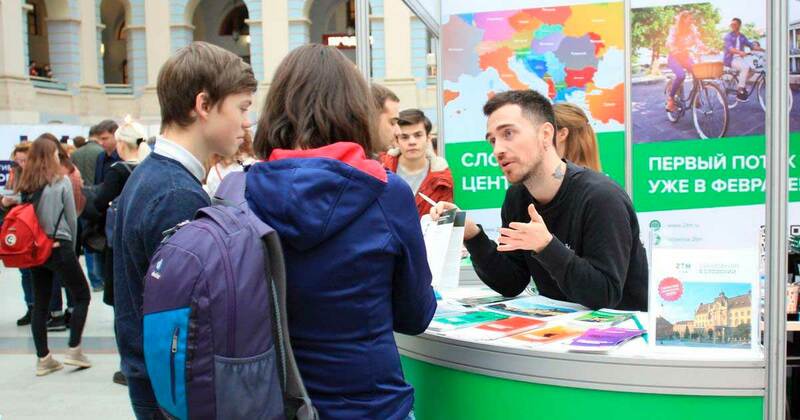 The main visitors of our booth were schoolchildren and their parents, students of Moscow universities and colleges. Parents and even grandparents who are interested in a quality education for their children, including those who have not finished school, visited our booth. 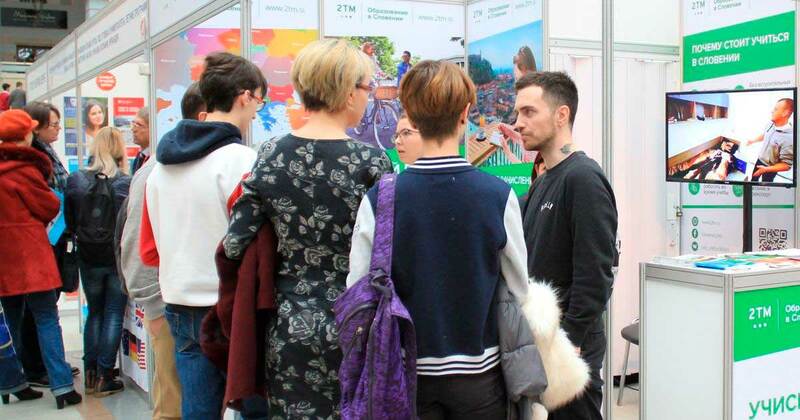 It was great to meet some of our clients, with whom we used to communicate only through the Internet and who wanted to get to know us personally,” says Margarita Shapina, a 2TM educational projects manager. 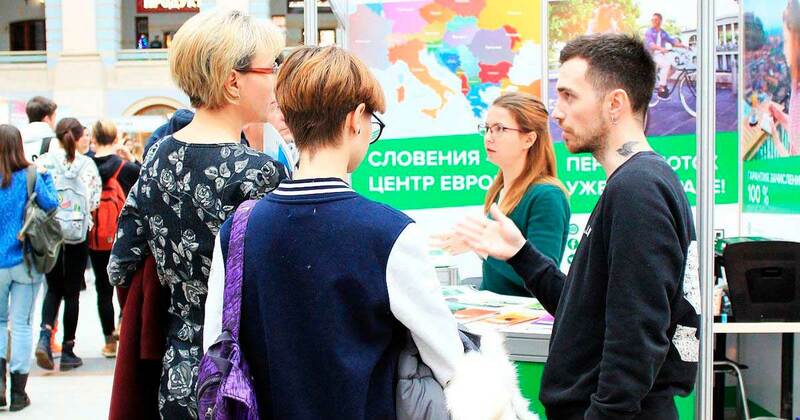 All visitors of our booth received advice on how to study in Slovenia and live in this country in general. “There were people who came to us for two days in a row and asked questions,” the representative of our company adds. It should be noted that the Director of the company, Tatiana Meleshkova, was present at the 2TM booth as well. She stresses that the awareness of Slovenia in the market of foreign education keeps growing year by year. 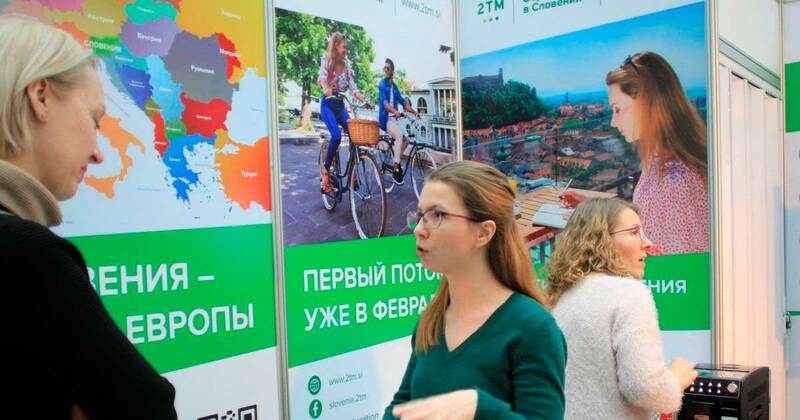 “We had several categories of visitors at our booth – those who came to the fair just to receive general information and those who have acquaintances already studying in Slovenia. We received only positive reviews, which is certainly good news. The future applicants were interested, first and foremost, in such popular study programmes as Management, Marketing, Tourism, Architecture, and Design. At the same time, we noted an increase in the number of requests for engineering programmes including Mechatronics, Electrical Engineering, IT. For us, this is a positive trend, as there is an acute shortage of specialists in this field, both in Slovenia and in the entire European Union,” says the Head of 2TM. Tatiana Meleshkova also adds that among the company’s booth visitors there were students who had not yet decided on their future specialty. “Our task is to help these young people make the right choice,” she says. By the way, all the 2TM career guidance activities pursue precisely this goal. At the moment, the company’s specialists are preparing for a new meeting with future students – this time in Saint Petersburg. 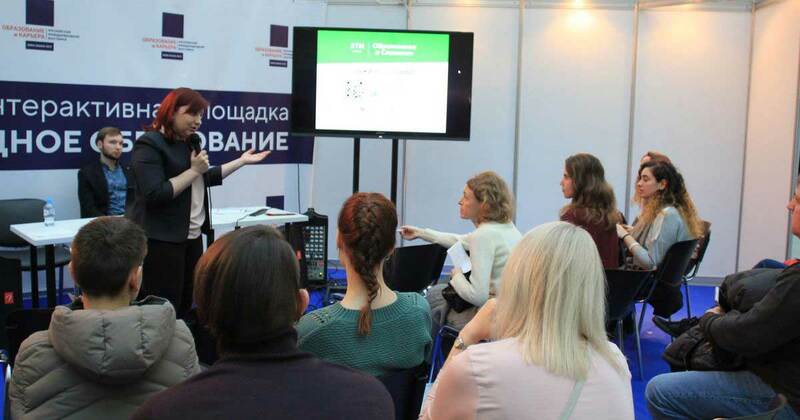 We invite residents and guests of Saint Petersburg to attend the free 2TM seminar “Education in Slovenia – Do Right!”, which will take place on the 4th of December. You can read more about the event here, and ask all your questions online, directly on our website!